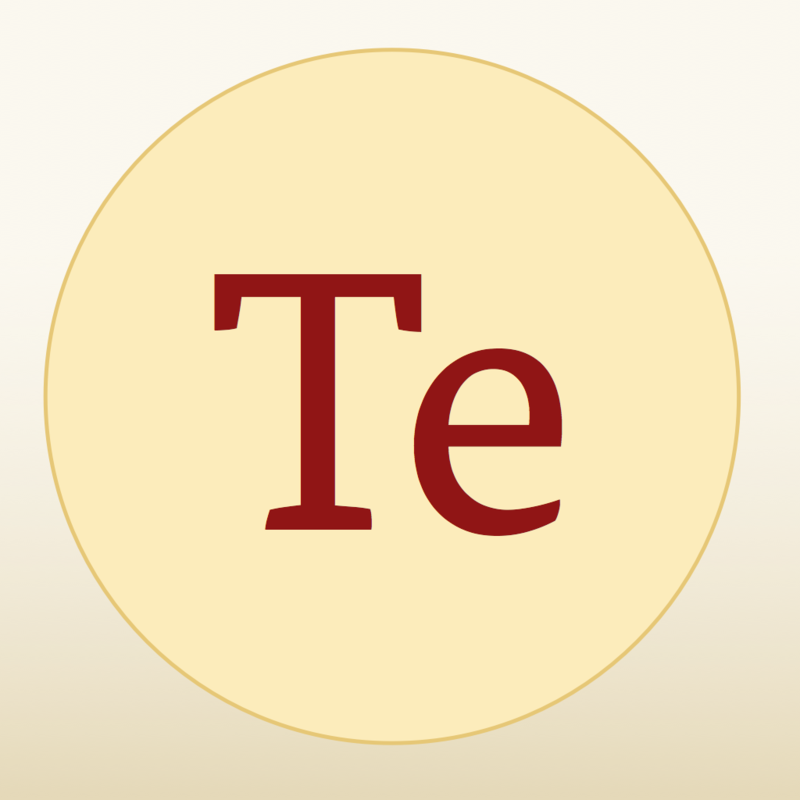 Terminology 3 ($2.99) by Agile Tortoise will become one of your most indispensable tools on iOS for words. 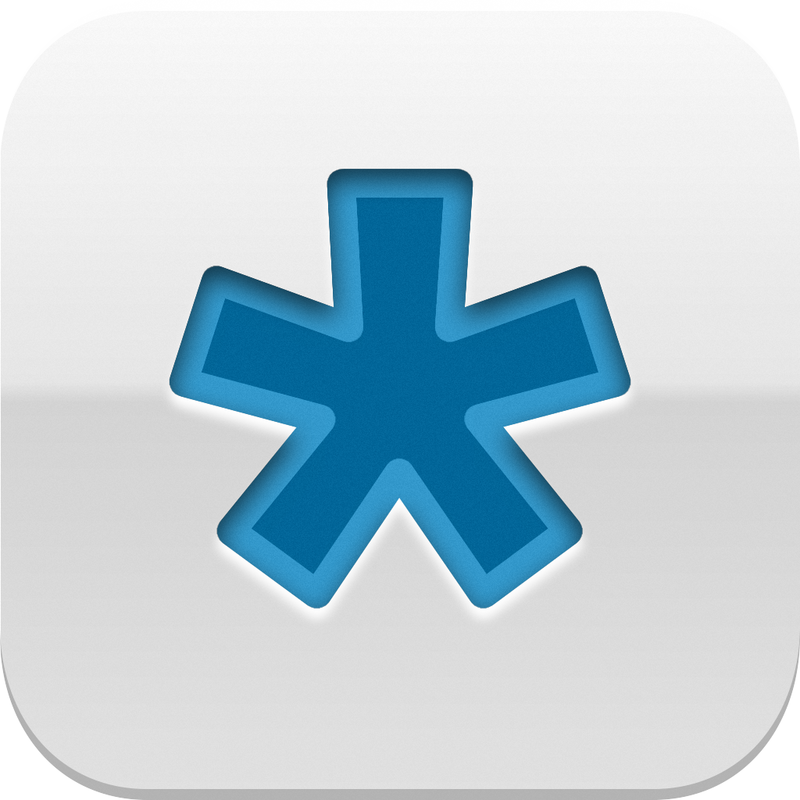 Terminology was first out in 2010, and even received a major update in 2011. 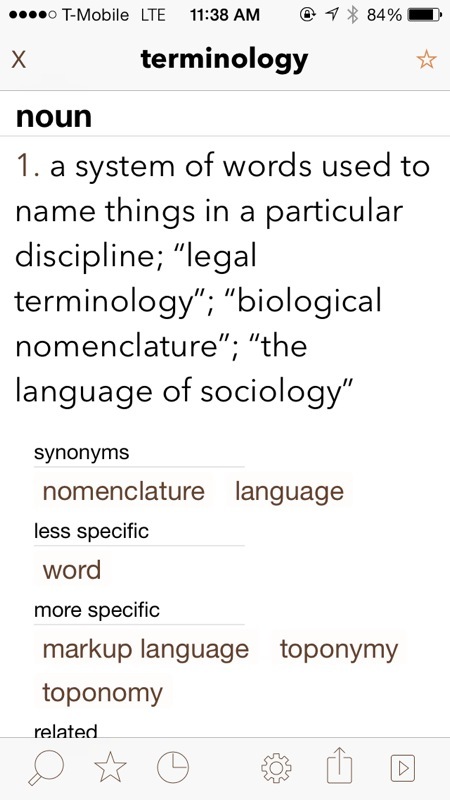 Now, to go along with iOS 7 and make the app better than ever before, Terminology was pulled and is now back as the brand new, universal Terminology 3. I deal with words everyday — it’s kind of what I do. Since I’ve moved to my iPad for most of my writing needs with Editorial, I’ve been needing a quick dictionary reference while on my iPad, and even my iPhone when necessary. Since Editorial can have a workflow that uses Terminology’s x-callback URL, I’ve found it to be the best possible tool for writers. I have been testing Terminology 3 for a few months now, and I have to say that this new version is just fantastic, and definitely a must-have for your productivity toolbox, especially if you love inter-app communication like that found in Agile Tortoise’s other app, Drafts. When I checked out the original Terminology, I was already quite impressed with the speed and design, which places the focus on the words themselves, and nothing else, though it didn’t look too shabby either. 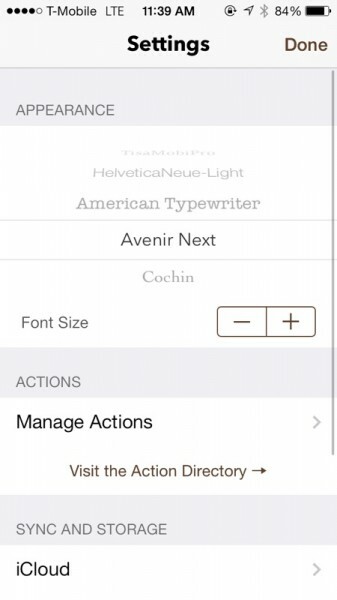 Now, in Terminology 3, you get a completely revamped design that is made with iOS 7 in mind, as it should. Thin iconography and easy-to-read typefaces on top of a light, cream colored background all come together to create a package that is beautiful on the eyes. Not only does Terminology 3 look great, but it is also very user-friendly, fast, and intuitive, just as any reference app should be. Users want to get in, look something up, and get back to what they were doing with the least amount of friction possible. 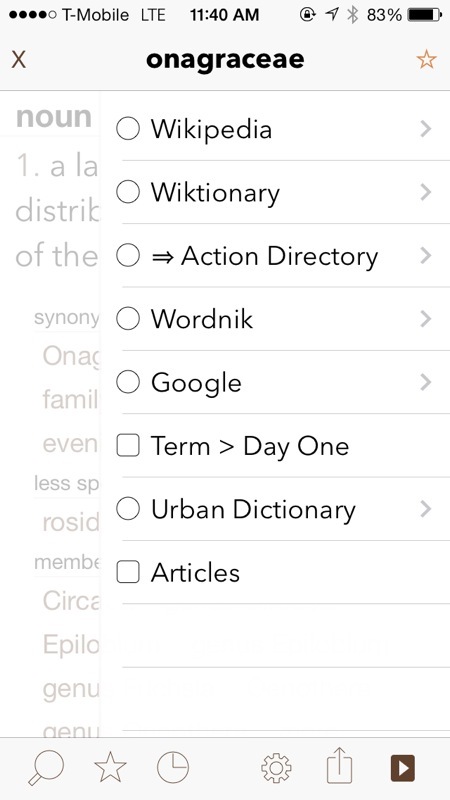 When you first launch the app, you’ll be on the Search view, where Terminology 3 will be ready for you to input the word you’re looking for. As you type, results will show up in real-time, so even if you aren’t sure of the spelling, you’ll probably find your specific word pop up at some point, given that you’re close enough. 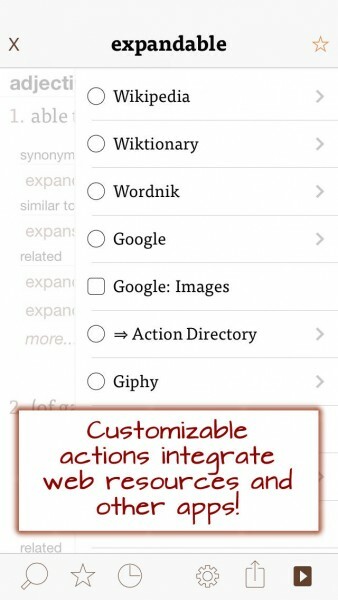 When you find the word, tap on it to bring up the part of speech it falls under, definitions, and synonyms. You can find yourself in a web of words by tapping on synonyms, as they will take you to that word’s definition. 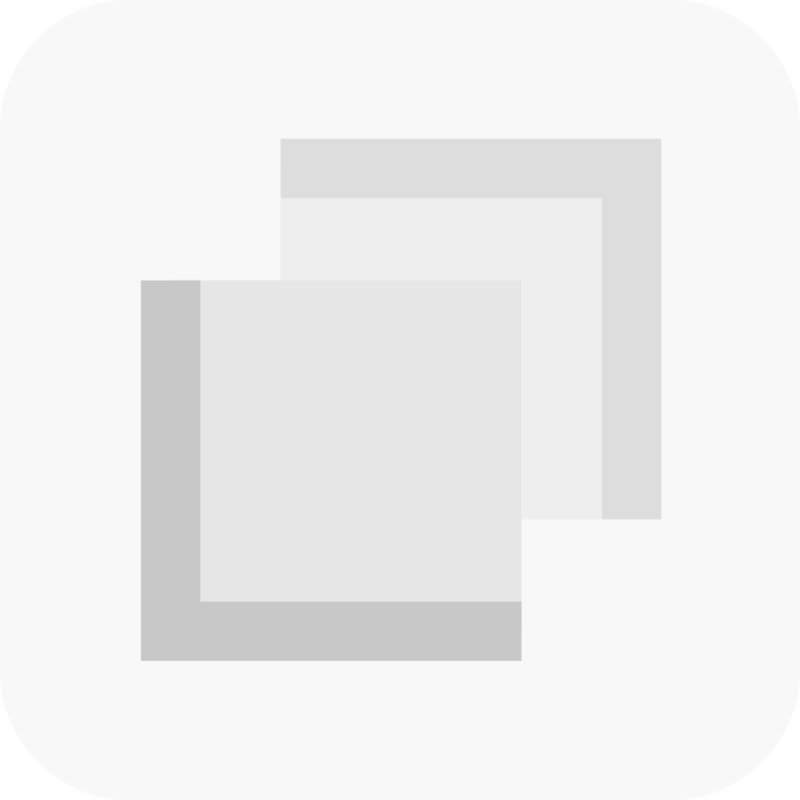 A shortcut to go back to search (instead of tapping on the button) is to make use of the swipe to the right from the left edge of the screen — this will bring up the Search view quickly. 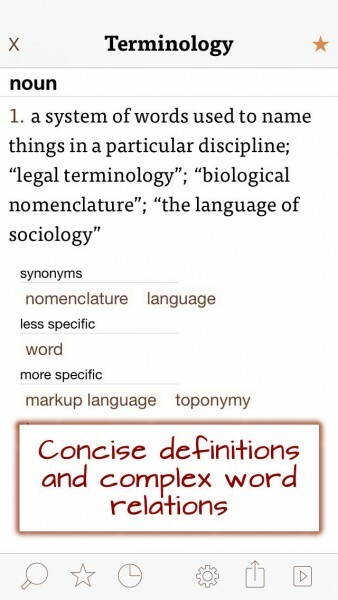 Previously, Terminology would keep the definitions and history view in the same view. 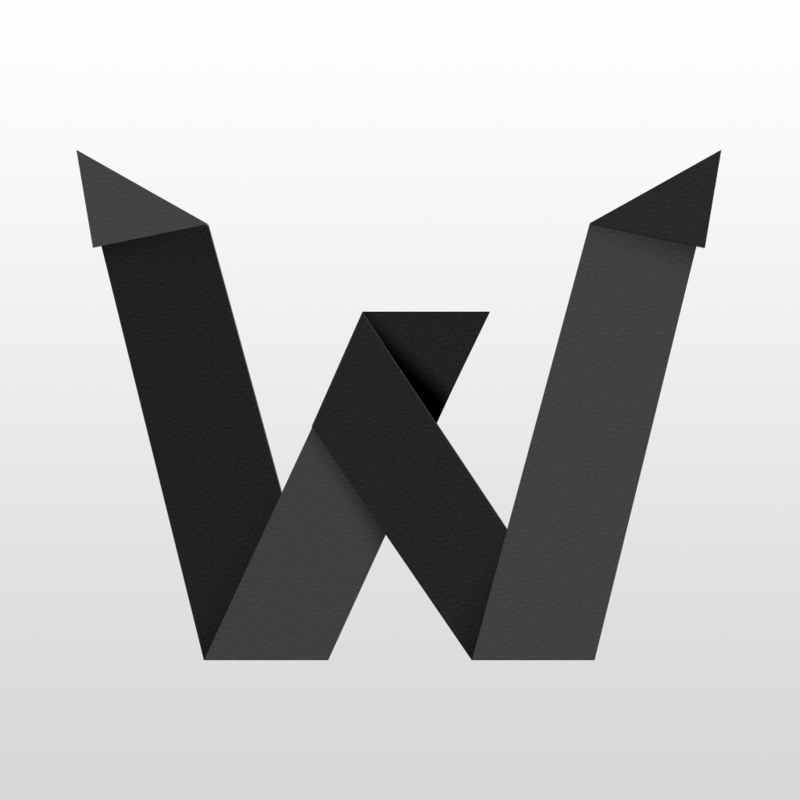 This has now changed, as the focus on the screen will be on the word you just looked up. However, if you need to access words you’ve previously looked up, this can be done by tapping on the History button (the clock). 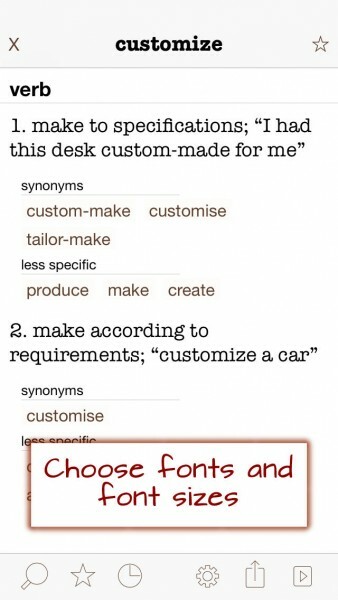 Sometimes, you may end up wanting to favorite a word for reference later, especially if it is something that you frequently use and want to have on-hand for synonyms. 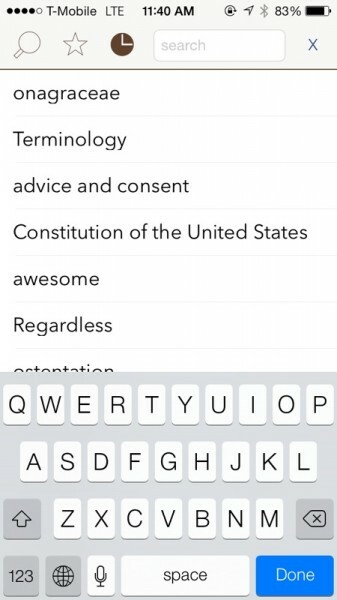 Any word you look up can be saved to your Favorites list (star) by tapping on the star at the very top of the app, to the right of the word. Pretty quick and easy, isn’t it? The real fun with Terminology 3 are the actions. 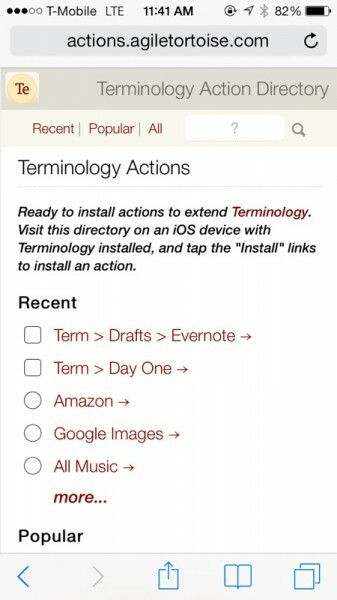 Just like Drafts for iPhone and iPad, Terminology now has support for actions that you can use on the words that you look up. 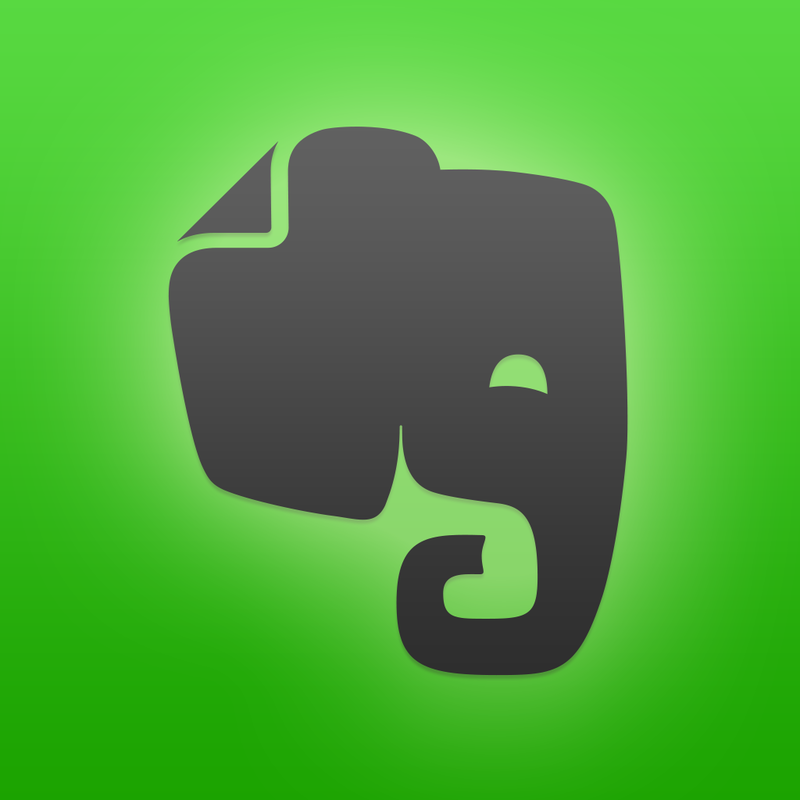 Actions include things like saving a word to a list in Evernote, sending the current term and link to Day One, searching Amazon for items with the current term, looking up the term in the Articles Wikipedia app, and more. 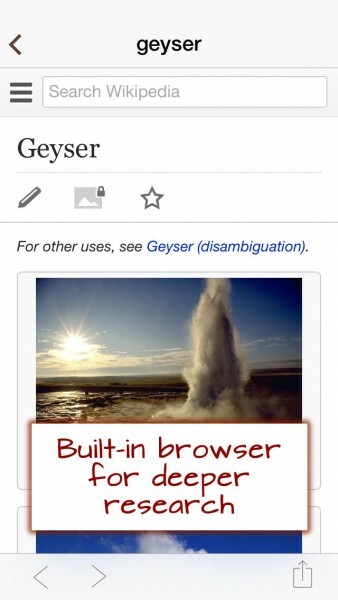 These can be accessed on words by tapping on the “play” button in the bottom right corner. 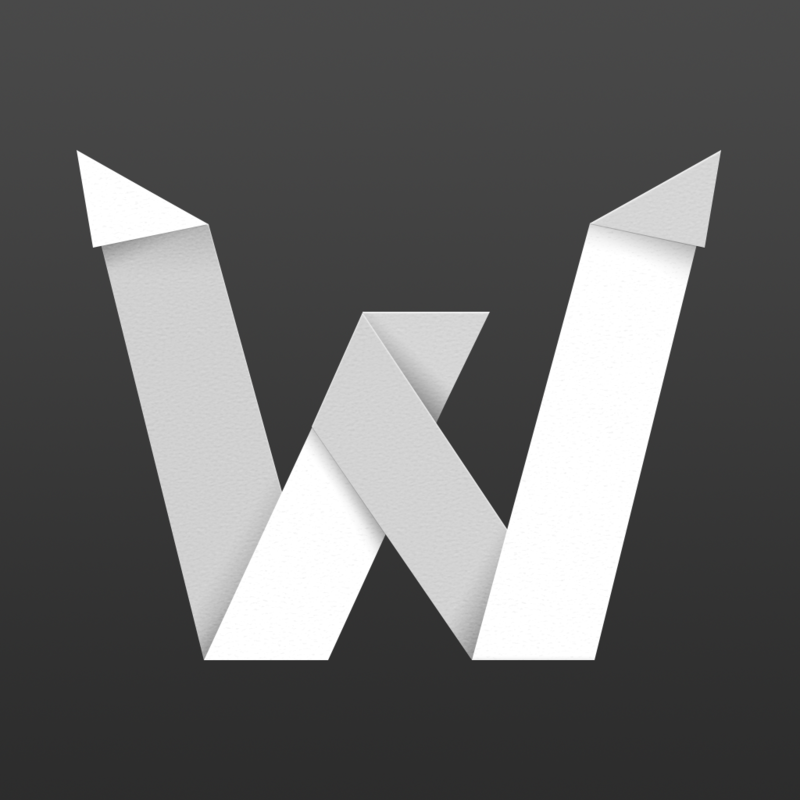 The app will already come with basic ones, like Wikipedia and Google, but you can view the action directory to view and install more, similar to how Editorial works with workflows and Python scripts. If you know how to work with URL schemes, you can also create your own actions by visiting the app settings, managing actions, and create a new one from scratch. 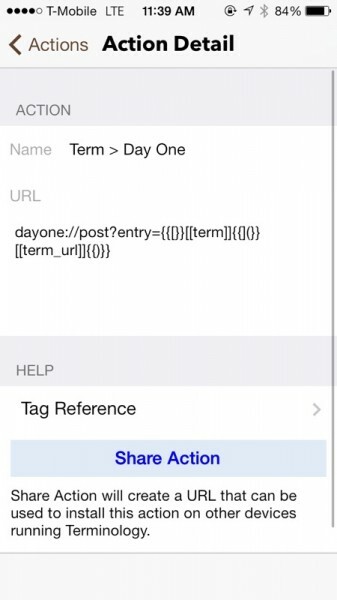 Actions will consist of a name and URL, and then you can share that action with a link that will install it on other devices with Terminology 3. The actions are something that I didn’t realize I wanted or needed until we got them. 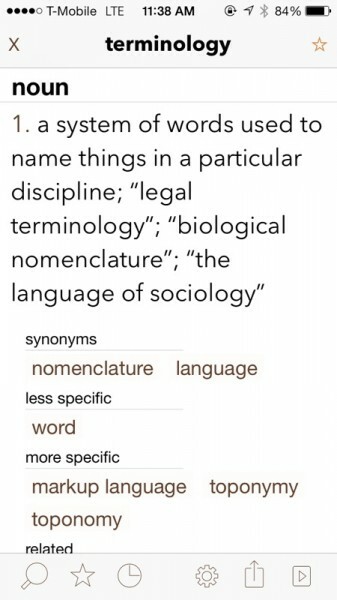 They work as indicated, and add a whole new layer to looking up words, as you can now do something with them (perhaps to help yourself remember them). Like Drafts, it also opens up a whole new world of possibilities. 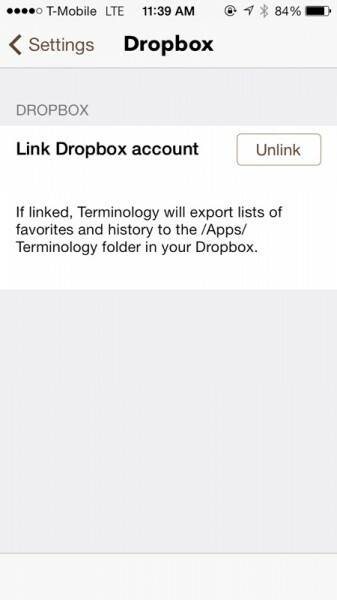 With Terminology 3, one of the brand new things that it now offers is iCloud and Dropbox support for syncing and storage. 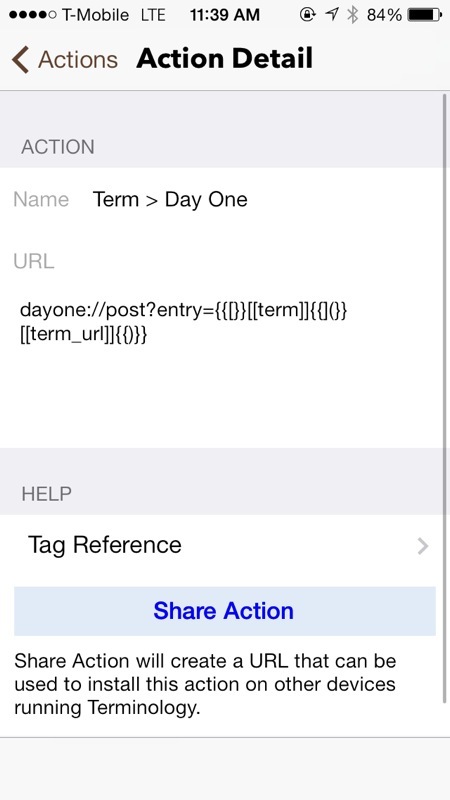 If iCloud is enabled, this will sync your favorites, word history, and actions across all of your iCloud devices. 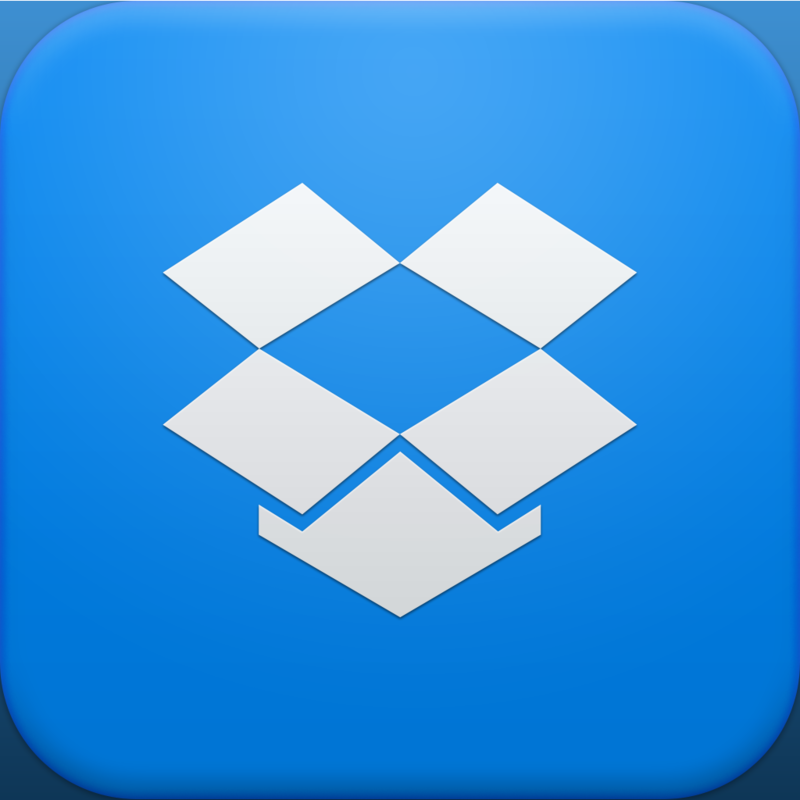 For Dropbox, Terminology will export lists of favorites and history into /Dropbox/Apps/Terminology folder. Both of these can be enabled at once. 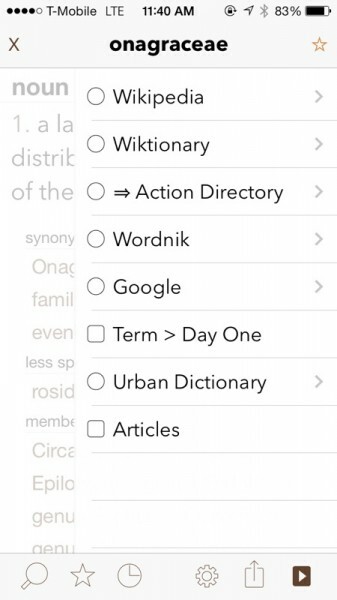 I’ve always used Terminology on my iPhone and iPad for looking up words on-the-go, and I’m incredibly happy that Terminology 3 is now available. 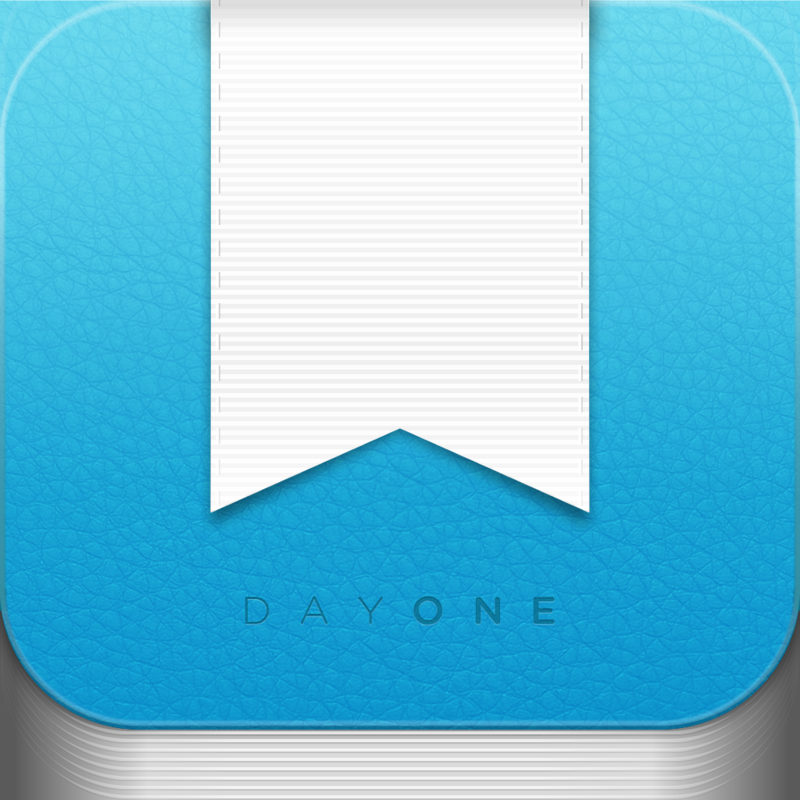 The clean interface is welcome and still focuses on the words themselves, which is always a plus for any reference app. 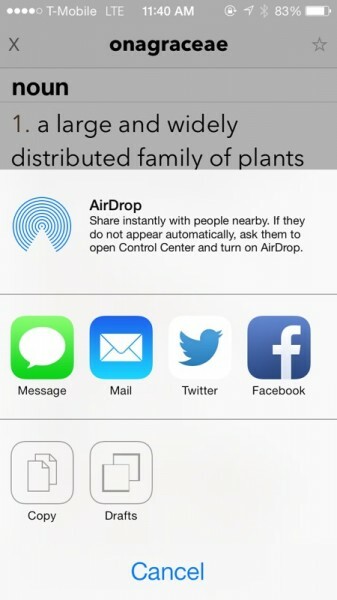 It’s fast and responsive, has quick favoriting, history, and the ability to sync it all with iCloud and Dropbox. The actions may not be as necessary as those in Drafts, but it’s a nice addition for word geeks like myself. I’ve gotten much use out of Terminology for the past three years, so I was happy to pay for the new version, which is now also universal. 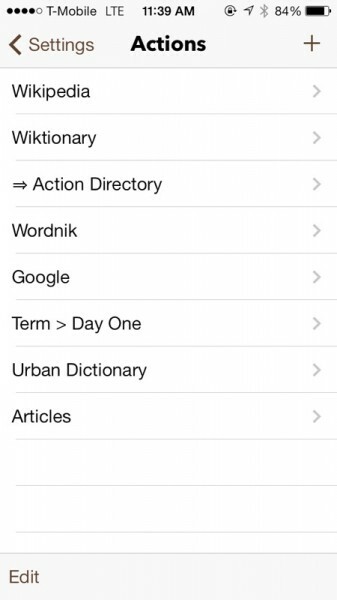 If you’re looking for the best dictionary app for your iPhone and iPad, then look no further than Terminology 3. It’s available in the App Store as a universal download for $2.99.